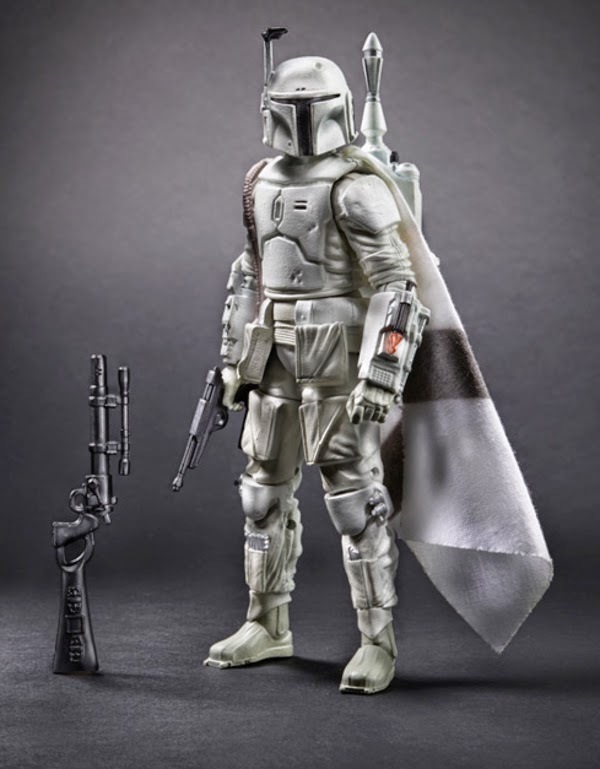 Hasbro has revealed their Walgreens exclusive Boba Fett prototype that will retail for $20 due out this Summer. Even though I backed out on the Star Wars Black line due to frustration over the line not being the definitive retail Star Wars line Hasbro claimed it would be, I have to admit this Fett is pretty epic. Sideshow did a 1/6 version of this that was a hit at $180, so expect this one to be very hard to find and skyrocket in price on the aftermarket. If you are lucky enough to go to SDCC you can pre-order this through Hasbro. If not, let the toy runs to Walgreens commence! How do you guys feel about drug stores getting Star Wars figure exclusives. Isn't that a bit odd? Let us know in the comments. Thanks to Jedi Insider for the scoop and Pic!